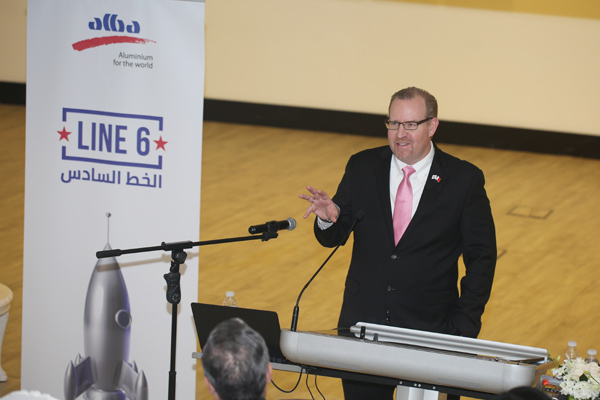 Aluminium Bahrain’s (Alba) progress in empowering and educating its workforce to assume higher leadership positions was highlighted by its chief executive officer Tim Murray at the first Employability Summit held recently. Organised jointly by The Royal College of Surgeons in Ireland – Medical University of Bahrain (RCSI) Bahrain and Bahrain Polytechnic, the summit showcased opportunities in the job market as well as the latest trends in education and training in Bahrain. Giving a keynote speech, Murray said: “Lifelong learning empowers us to be adaptive leaders in this ever-changing world. “From the very beginning, we have invested in the education and training of its human assets who are behind the many successes in our company,” he said. “We are proud of our landmark project, Line 6 Expansion Project, which will have a huge impact not just in the job creation for Bahrainis but also in terms of developing the skills and capabilities of the Bahraini workforce in line with the Kingdom's Vision 2030,” he added.